This first article on Whole Genome Sequence (WGS) analysis is posted today to celebrate DNA Day, 25 April 2018. This is the first in a continuing series on the files received when a person's entire genome is sequenced, the contents of those files, the tools needed to access the file data, and some things a genealogist can do with the data. I now have access to the WGS data for several people who have also tested at most of the genealogy companies offering DNA tests. I am excited to be able to analyze these files so others can decide if a WGS test may be right for them now that prices are below $1000 and probably going lower "soon." When ordering higher resolution sequencing that is consistent with medical testing the price may be over $1000. The first WGS I have access to was done through YSEQ.net. This is the company of Thomas and Astrid Krahn who are well known in the genetic genealogy community. YSEQ.net has excellent explanations of the options and processes on their website and are very responsive to questions via Facebook and their online contact form. Adapted by Debbie Parker Wayne from mcmurryjulie, chromosomes, Pixabay (https://pixabay.com/en/chromosomes-genetics-dna-genes-2817314/ : accessed 15 November 2017), CC0 Creative Commons. A kit was ordered from YSEQ.net on 15 November 2017, four swabs arrived on 18 November 2017, the kit was returned on 20 November 2017, and received by the lab on 27 November 2017. 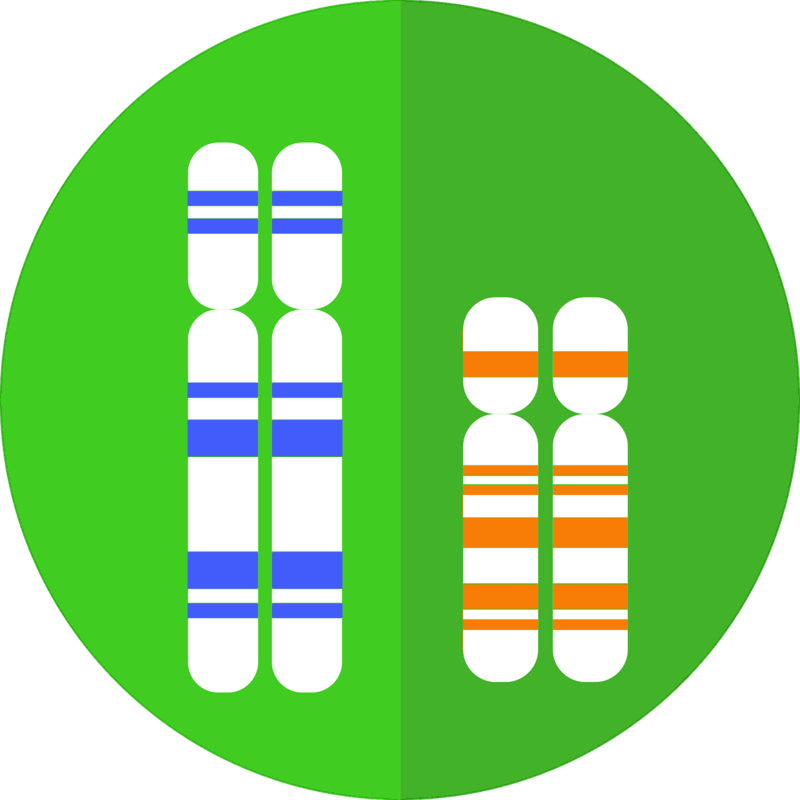 Online mtDNA results were available 39 days later on 5 January 2018. Online WGS results were available 24 days after that on 29 January 2018. That is only about 73 days including mail time between the USA and Germany. The micro SD card was received later. I am in the process of installing Samtools on my LINUX system so I can read the BAM files. I suspect many genealogists will not do this unless they have experience with LINUX/UNIX systems. There are some Windows/Mac-based genome analysis tools also. Even without Samtools there is a lot of interesting information here to analyze in the coming months and compare to data from the genealogy testing companies. 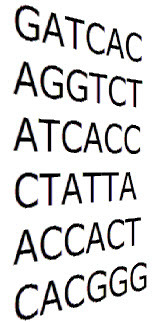 If you are interested in learning more about BAM files see Samtools and NCBI Genome Workbench. All statements made in this blog are the opinion of the post author. This blog is not sponsored by any entity other than Debbie Parker Wayne nor is it supported through free or reduced price access to items discussed unless so indicated in the blog post. Hot links to other sites are provided as a courtesy to the reader and are not an endorsement of the other entities except as clearly stated in the narrative. 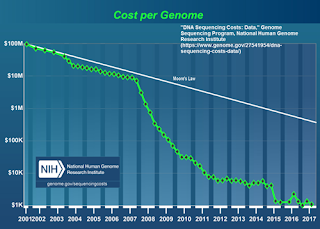 Debbie Parker Wayne, "Whole Genome Sequence (Part 1)," Deb's Delvings, 25 April 2018 (http://debsdelvings.blogspot.com/ : accessed [date]). I am the owner of Wayne Research, a genealogical research service. Laws affecting family history and genetic genealogy (DNA) are areas of special interest to me. Many of my posts will be in those areas as well as topics of general interest to genealogists. Contact me through my Web site at debbiewayne.com. The words Certified Genealogist and letters CG are registered certification marks, and the designations CGL and Certified Genealogical Lecturer are service marks of the Board for Certification of Genealogists®, used under license by board certificants after periodic evaluation. This blog stores no cookies other than those created by Google's blogspot.com service. By posting a comment, you agree that this website can store and handle your data; your name and other identifying information you enter in a published comment will be publicly displayed. Your email address is not collected by this blog, but may be by the reader you choose to use. See their Terms of Service. Your email address is not collected by this blog, but will be needed by Feedburner to deliver the articles. See their Terms of Service. © 2011-2018, Debbie Parker Wayne, All Rights Reserved. Simple theme. Powered by Blogger.